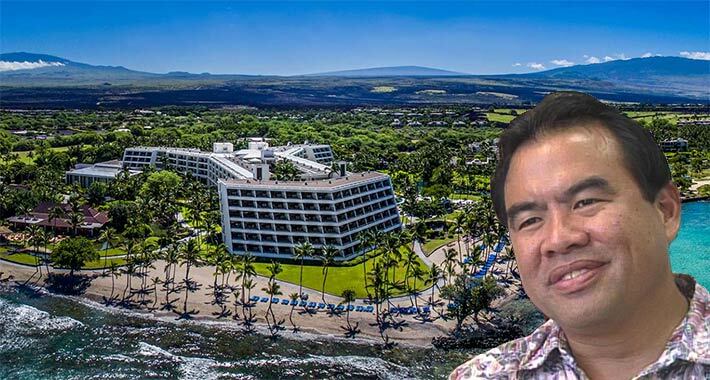 Taxpayers supported the lavish lifestyle of Sandwich Isles Communications’ owner, Albert Hee, who used $27 million in broadband funds to pay for personal expenses such as $90,000 for massages and $17,000 for his family to stay at this Hawaiian hotel for a stockholders meeting, even though Hee was the sole stockholder. While the FCC announced Tuesday that it is freeing up an additional $51 million annually in subsidies for 35 companies to build out broadband infrastructure in rural areas, it was also anxious to see if Sandwich Isles Communications, Inc., (SIC) of Hawaii had paid its $50 million fine due by Jan. 4, 2017 for receiving $250 million in funding with “substantial amounts of that support apparently being based upon inaccurate cost studies data submitted,” according to an investigation conducted by the Universal Service Administrative Company (USAC) for the Commission. However, even if SIC pays the fine issued earlier this month, it will go to the U.S. Treasury and not to the FCC. The FCC said that SIC, Waimana Enterprises, Inc. (WEI), its parent company, and Albert S.N. Hee, owner of both organizations, were jointly and severally liable for the $49,598,448 fine after receiving more than $27 million of fraudulently obtained money from the fund that the FCC will also attempt to recover. It appears that the FCC’s investigation wasn’t initiated by information uncovered in an internal audit, but was spurred when Hee, the brother of former Hawaii State Senator Clayton Hee, was indicted by a District of Hawaii grand jury in 2014 on six counts of criminal tax fraud and one count of impeding an investigation of the Internal Revenue Service. In a September 2015 ruling, the Hawaii Public Utilities Commission rejected SIC’s bid for recertification as a telecommunications carrier eligible to receive federal financial support from the Universal Service Fund. The United States Telecom Association said that the majority of those expenditures have been precluded from cost recovery for years and the agency shouldn’t outline additional restraints because of the actions of a “bad apple” such as SIC. On Jan. 7, 2016, Hee, 61, of Kailua, Hawaii, after an 11-day jury trial, was found guilty of all charges and sentenced to 46 months in prison and was also ordered to pay a fine of $10,000 and restitution to the IRS in the amount of $431,793. The FCC, in issuing its NAL, drew a lot of its “high cost” overhead concerns from information provided at Hee’s trial such as Hee requiring WEI to pay a total of $4,063,294 of his personal expenses. The prosecution provided evidence of numerous instances in which Hee authorized the use of corporate funds for his personal expenses such as payments to his personal masseuse totaling more than $90,000 and written off as “consulting services”. Other “business related” expenses totaled at least $119,909.19, which included $55,232.23 for family vacations to France and Switzerland, Disneyworld and Tahiti. A family vacation on the island of Hawaii was charged off as a stockholders’ meeting in the amount of $17,000, although Hee was the only shareholder of the company at that time. Through his company, Hee purchased a $43,000 SUV and a home in Santa Clara, Calif. for $1.3 million so that his children could use the vehicle and stay in the home while attending a nearby university. Hee, according to evidence presented at his trial, also paid his wife and children $1,680,685 in salary and benefits from 2002 through 2012. According to an office manager, his wife only worked in the office “one time”, and the children were paid while attending school and while being employed elsewhere. After learning of the government’s evidence, the FCC’s Wireline Competition Bureau (WCB) directed the USAC to investigate SIC. 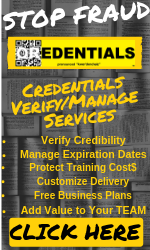 Throughout the examination, USAC made over 350 inquiries that resulted in SIC submitting over 3,200 files. Amongst other ineligible expense, the Commission determined that Hee should not have received a “$(redacted) million bonus”. In its NAL, the FCC said that in light of SIC’s “egregious misconduct and the demonstrated harm to the Fund from its apparent violations,” SIC must submit a report, within 60 days of Dec. 5, 2016, explaining why the Commission should not initiate proceedings against SIC to revoke its Commission authorizations, including but not limited to, its Section 214 authorizations. The Commission said it remains committed to maintaining service to all customers on the Hawaiian Home Lands and will coordinate with the Hawaii Public Utilities Commission to ensure continued service. On Dec. 16, 2016, SIC requested additional time to prepare its response, but withdrew it in a filing published Dec. 22, 2016.